With February being National Heart Month, one local cardiac specialist is sharing the latest news that might keep you from suffering heart disease, the leading cause of death in the U.S. Marvin Appel, M.D, FACC., on staff at Brand New Day, a Medicare Advantage prescription drug plan available in 12 counties in California, says that a number of recent studies are giving medical professionals valuable information that they can offer patients to keep them out of harm’s way. · BLOOD PRESSURE FLUCTUATION CAN INCREASE RISK – A major European study found that those with irregular blood pressure are twice as likely to experience cardiac episodes than those with steady readings. Unfortunately, only half of those with high blood pressure have their condition under control. Multiple scientific studies confirm that those with hypertension should steady their blood pressure by alleviating stress (e.g., meditating, exercising, yoga, journaling, etc); avoiding certain foods especially those that are heavily salted, pickled, brined, cured, fermented; stopping smoking; reducing or eliminating alcohol consumption; and staying away from OTC cold and allergy medication intake. Appel recommends embracing a diet of mostly chicken, fish, fruit and vegetables and avoiding fast foods and those high in sodium. · INFLAMMATORY BOWEL DISEASE LINK – Results from a study presented before the American College of Cardiology revealed that those with inflammatory bowel disease (IBD) (e.g., Crohn’s disease, ulcerative colitis) are twice as likely to have a heart attack than those without IBD. 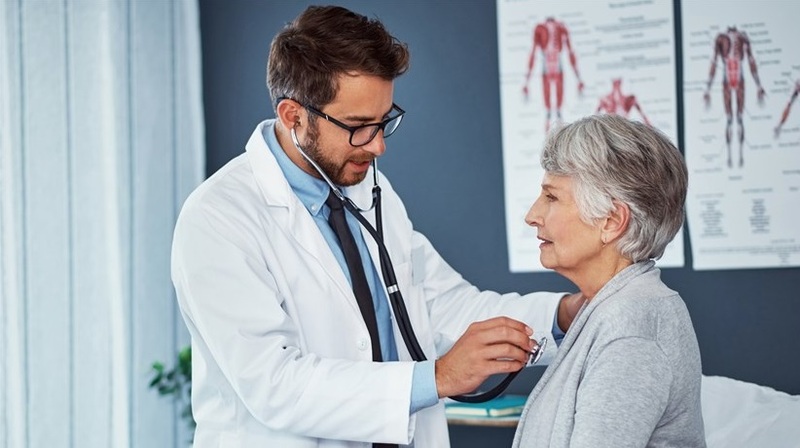 Appel and other Brand New Day experts recommend that IBD patients talk with their doctors about regularly screening for heart disease and employing strategies to reduce cardiovascular risk. · APPS CAN BE LIFESAVERS – The Cleveland Clinic recently announced that certain apps can be lifesavers in detecting irregular heart rhythms. The study tested the Kardia Band that attaches to the Smartwatch and with the push of a button, the band records the heart’s electrical activity to determine whether or not your heart rhythm is normal. Atrial fibrillation (AF), a condition characterized by irregular heart rhythm, can be particularly dangerous as it can lead to stroke without warning. Once diagnosed, it can be treated with blood thinners. The Kardia Band is an excellent tool for keeping patients and their physicians aware of warning signs, possibly giving an opportunity for lifesaving intervention. Early detection means saving time and money. Brand New Day offers comprehensive benefit programs designed to address its members’ unique healthcare needs. For those with heart disease or diabetes mellitus, members can take advantage of the Embrace Program that offers specialized services to meet their individual needs. This program offers licensed nurses who serve as personal health coaches, unlimited free “door-to-door” transportation to and from doctor’s appointments and lower prescription costs. Its service areas include Los Angeles, Orange, Riverside, San Bernardino, Kern, San Diego, Fresno, Imperial, Kings, San Mateo, Santa Clara and Tulare counties. In addition to the Embrace Plan, Brand New Day offers Bridges for dementia and Alzheimer’s patients and Harmony for those disabled by mental illness including major depression, schizophrenia, schizoaffective disorder, bipolar disorder and paranoid disorder.